1Password for iPad and iOS has been updated this week (to Version 4.5) – and it’s the biggest update ever for the already excellent password manager app. The update starts strong by making a change that the developers say is by very, very popular demand – making search always accessible at the top of the categories tab and on each main category. – If you create multiple vaults with 1Password 4 for Mac or Windows, you can now add them to 1Password for iOS and switch between them in Settings. Great for securely sharing items with team members or family, or simply for your own organization! Our built-in browser is faster and more powerful, making it easier to login, checkout, and fill forms with a single tap. – One AutoFill to rule them all – Logins, Identities, and Credit Cards are all under the same button in 1Browser, similar to 1Password mini on the Mac! This really looks like a fantastic update for 1Password, which continues to be one of the very best options if you need a password manager for the iPad, iOS, Mac, and Windows. 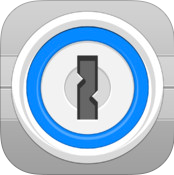 Here’s an App Store link for 1Password; it’s priced at $8.99 and is a universal app designed to run on both iPad and iPhone.